Recently on the Istanbul-based pro-Brotherhood channel named Raba’a Sheikh Afifi called on Muslims to resist the coup, but not with weapons. “This will enable them to commit their crimes against us with full freedom,” he said. It is not that the use of weapons is wrong, however. Afifi quotes the 10th Century jurist Ibn Hazm to say that such fighting is prohibited if it will not prove victorious. Since the security forces are better armed, this strategy will backfire, he explains. 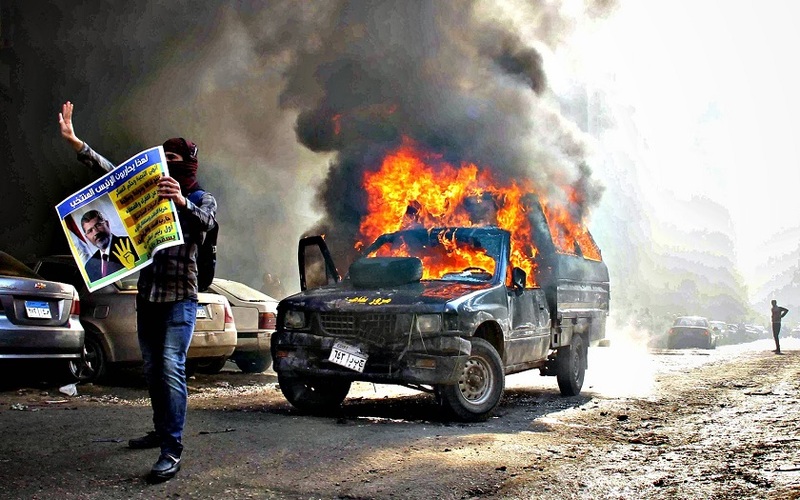 “All we can try to do is terrorize them,” Afifi continues, “by burning their cars, threatening them, burning their homes, and other such efforts.” He says this is consistent with peaceful resistance and alleges it is legitimate under sharia law. Please click here to read the full article at Egypt Source.